The sense seems to be that we could be in for a busy weekend on the trade front, with sellers ready to take care of some business ahead of the chaos on Wednesday. Only a handful of teams still haven't decide to buy or sell, so the market should be fairly well established by now. UPDATE: As I write this post, news breaks that the Ducks have acquired Patrick Eaves from the Stars. The Curtis Lazar sweepstakes are heating up with a just few days to go before the trade deadline. The Oilers have some interest, while the Avalanche could ask for Lazar in any trade involving Matt Duchene or Gabriel Landeskog. If the Jets become sellers between now and Wednesday, expect pending UFA Drew Stafford to generate a ton of buzz. Although they find themselves sitting four points out of the second wildcard (as of this post), they've played more games than anyone in the Western Conference. A final decision might not be made until the eleventh hour. The Flyers are holding on for dear life in their quest to make the playoffs, but if they become sellers, they could be busy. 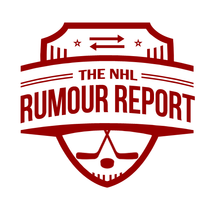 Pending UFAs Mark Streit, Nick Schultz, Michael Del Zotto, Pierre-Edouard Bellemare, Steve Mason and Michal Neuvirth as well as Matt Read, could be made available.